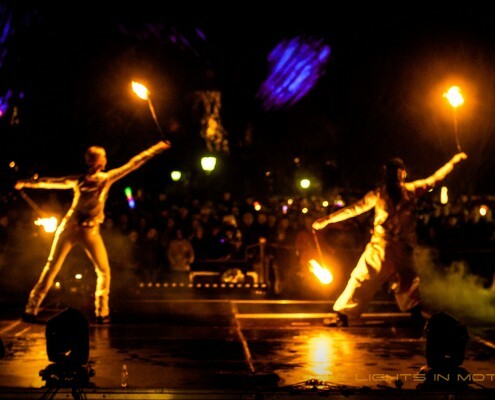 The fire performers of Lights in Motion provide atmospheric and spectacular fire shows. 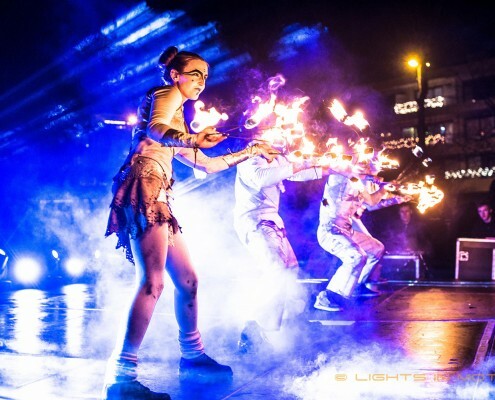 Exquisite choreographies, a great diversity of skills, tools and advanced techniques, creates a breathtaking and sparkling spectacle on stage. 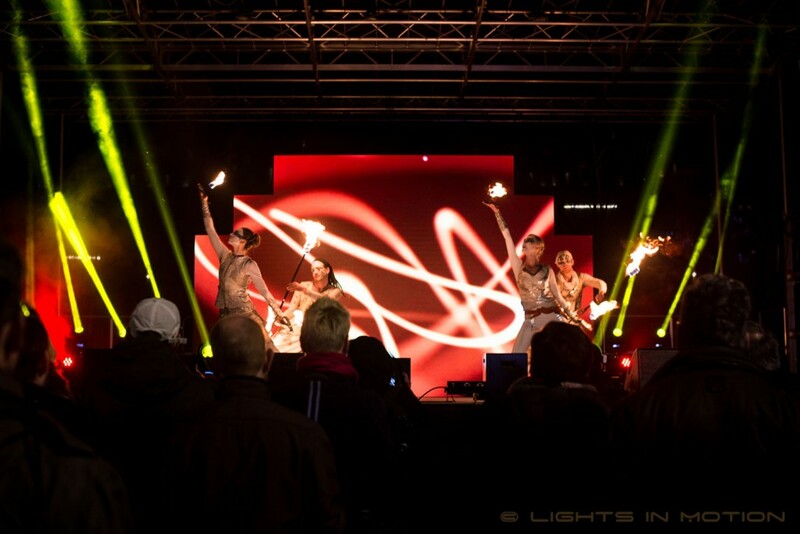 Our shows are suitable for a wide diversity of occasions and can be expanded in many ways. 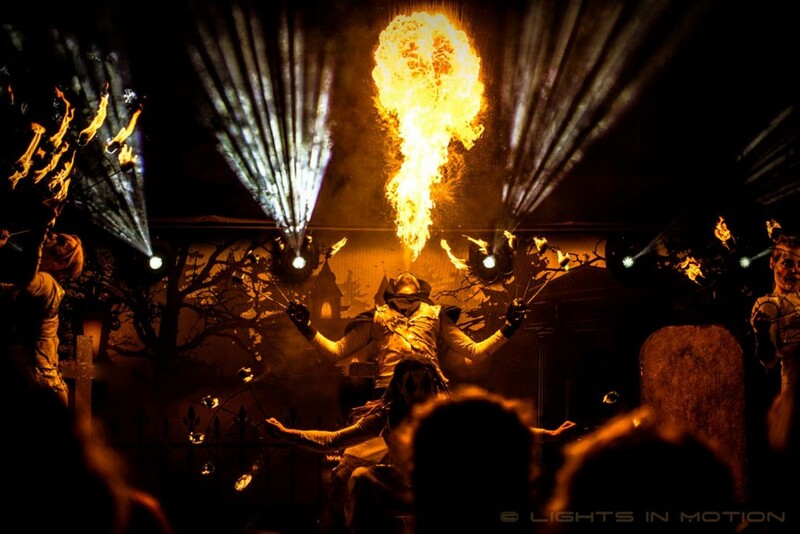 Besides the following fire shows we also provide freestyle performances and custom made shows. 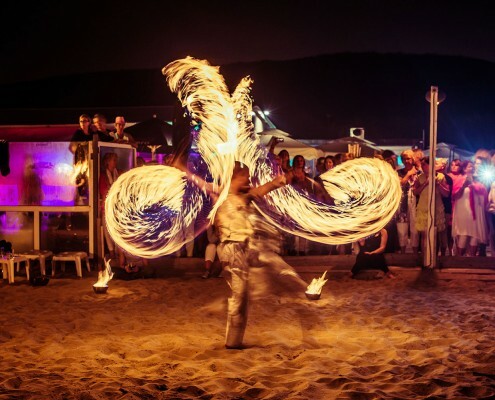 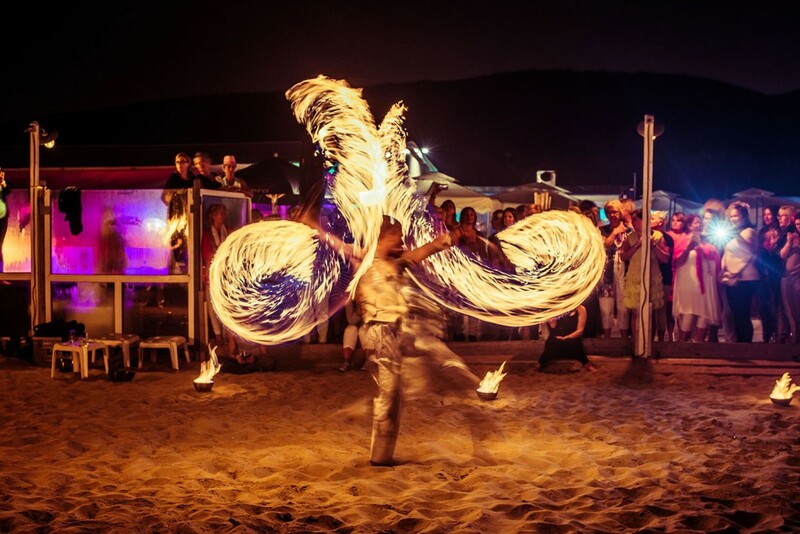 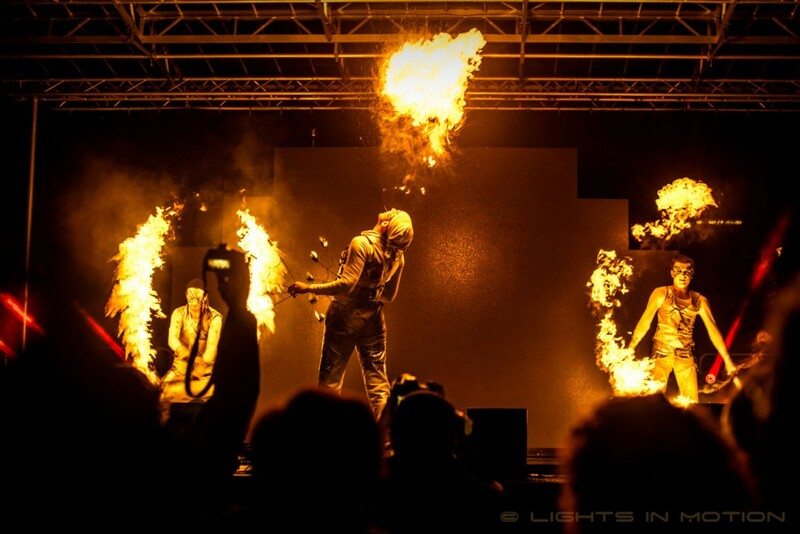 If you want to book a fire show or rent a fire artist , then you’ve come to the right place . 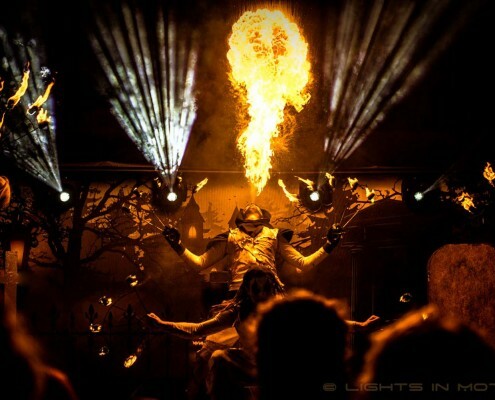 Fire Show Eclipse is a beautiful and diverse fire show. 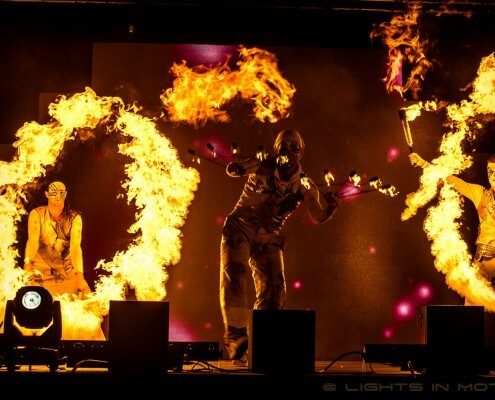 Powerful and subtle choreographies with different fire tools and dance beautifully alternate in the show as the artists share their burning passion for fire with the audience. 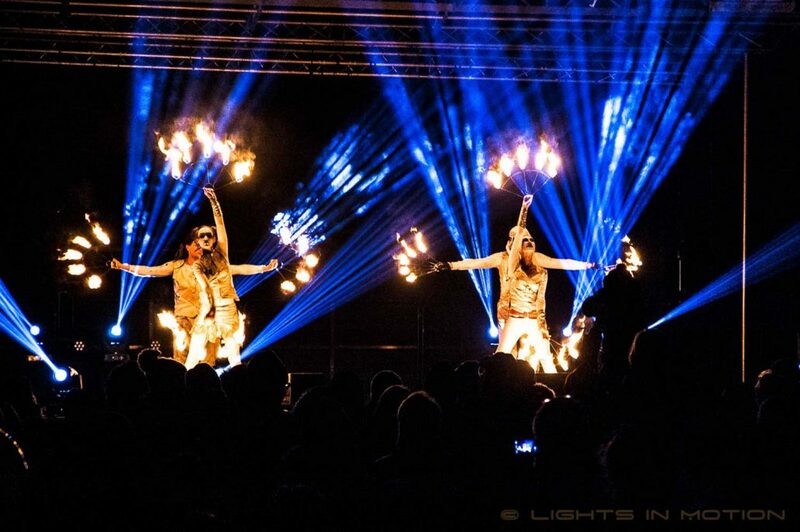 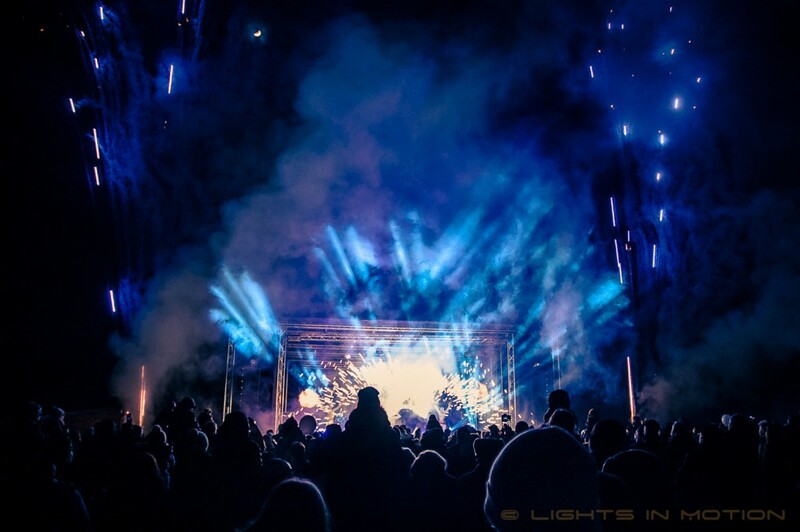 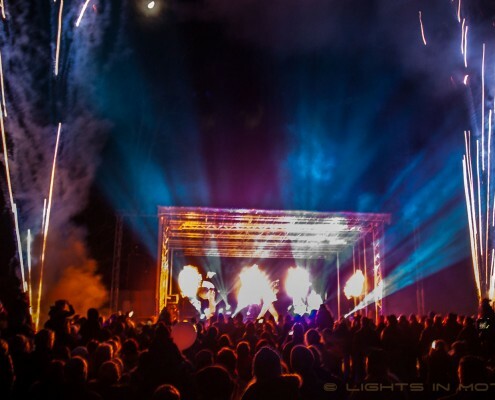 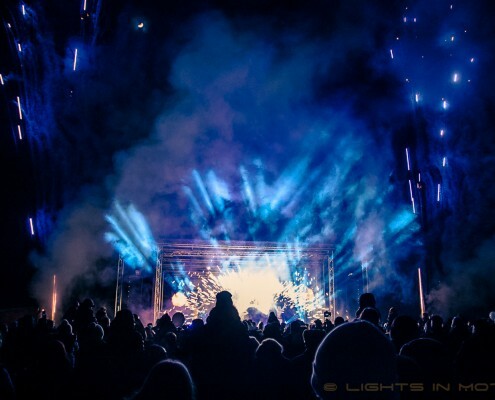 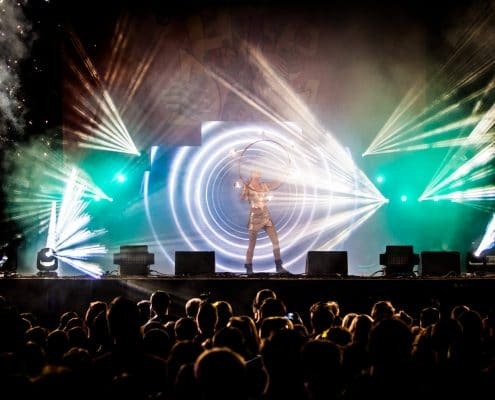 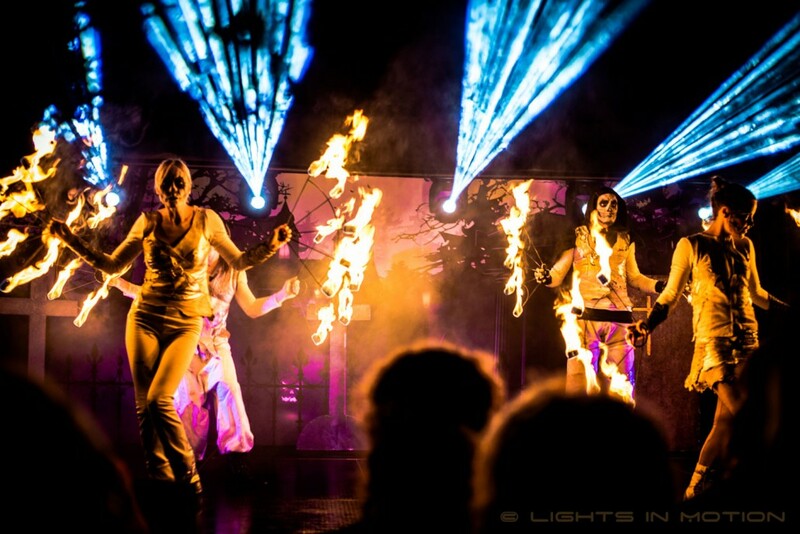 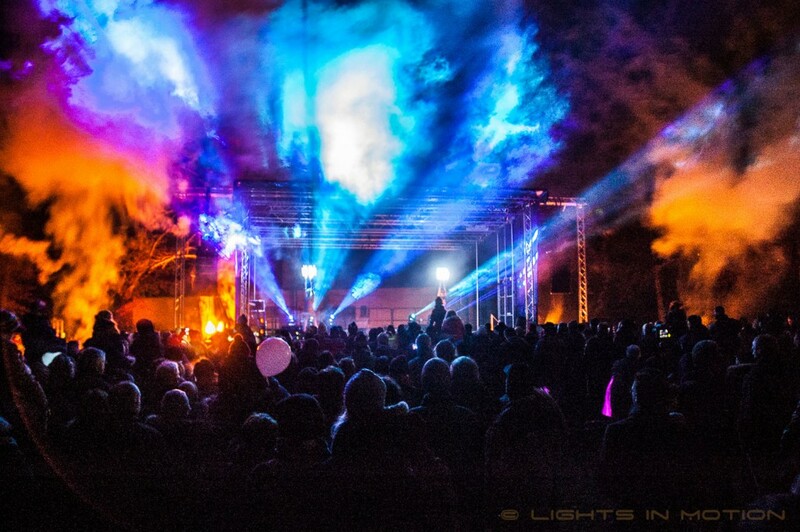 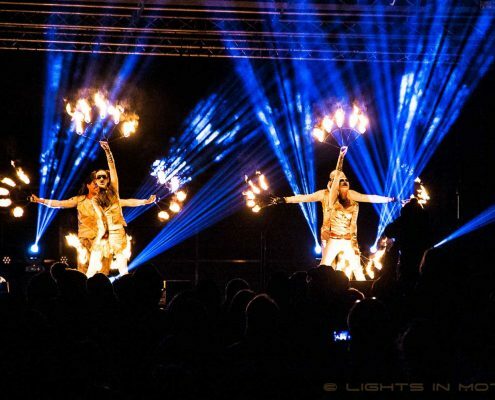 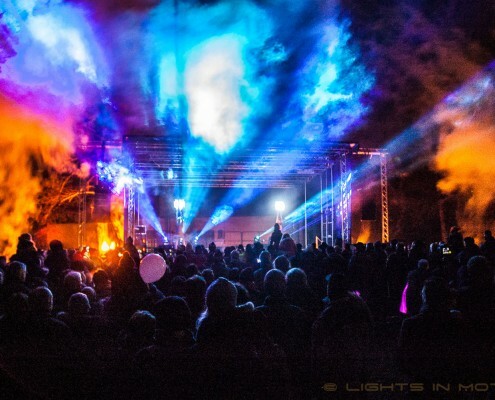 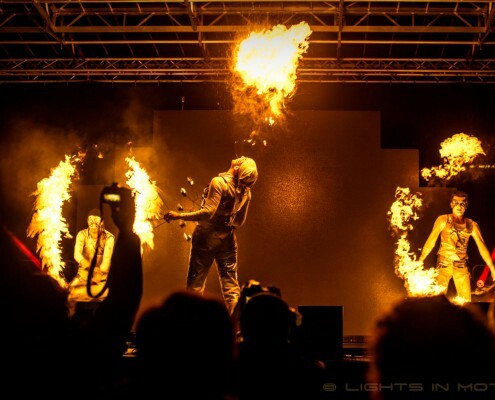 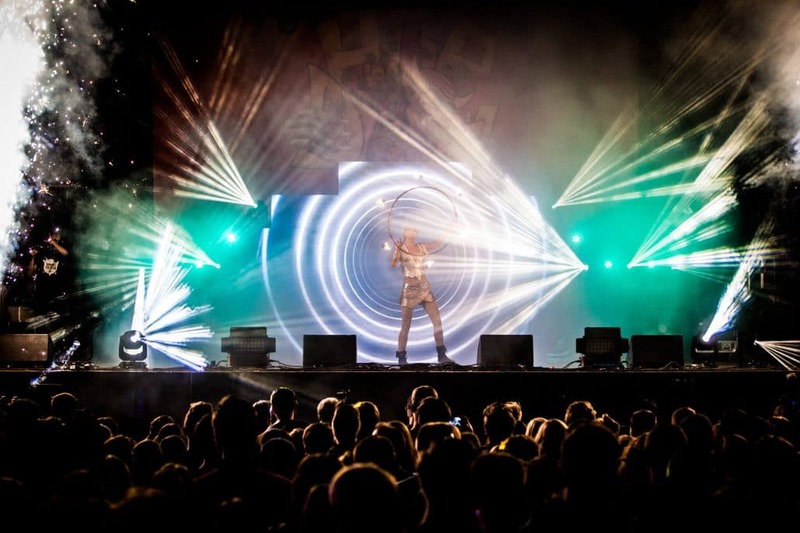 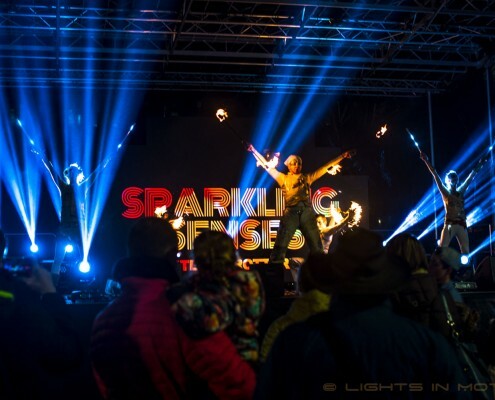 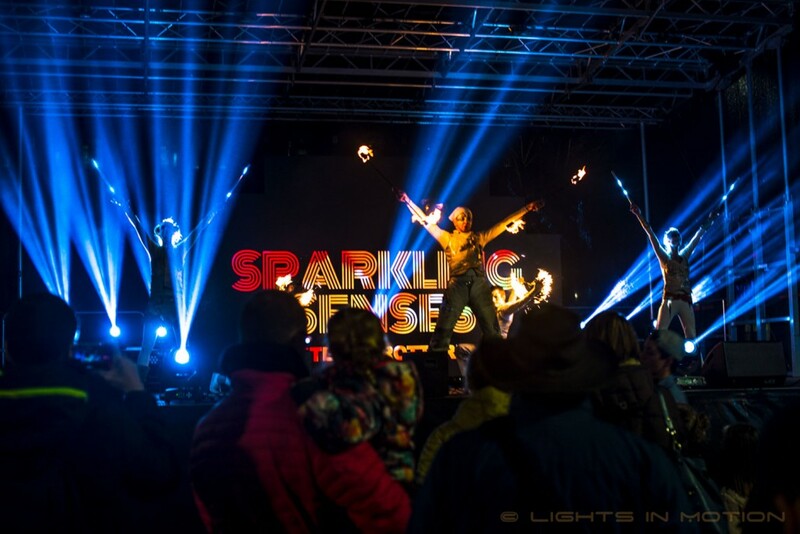 With a wide range of fire tools such as : Poi, Staff, Fans, Hoop, Torches, Candles, Fire Spitting, Fire Drums, Lycopodium Flares and Sparkle Poi the fire artists create a breathtaking spectacle on stage. 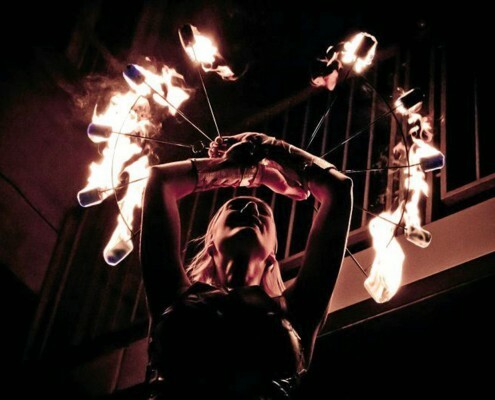 Fire show Hypnotica is a show with an elegant accent. 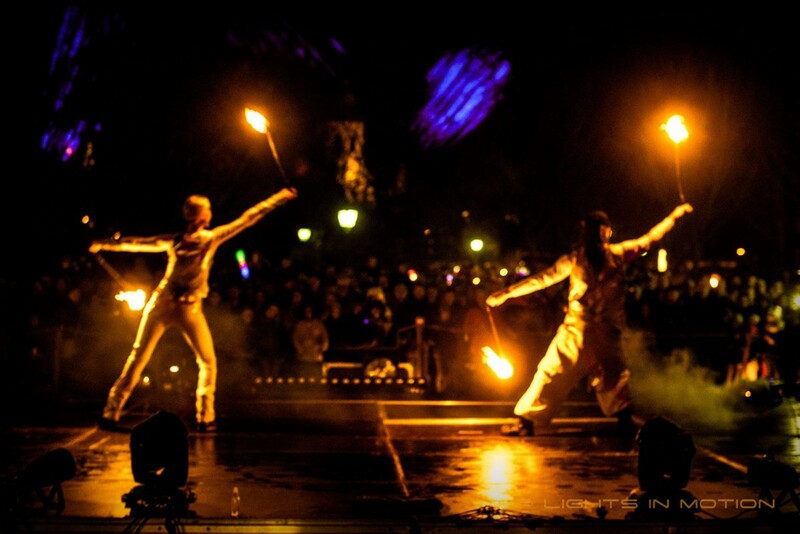 A nice selection of fire tools combined with dance and beautiful music treats the audience on a sophisticated fire show. 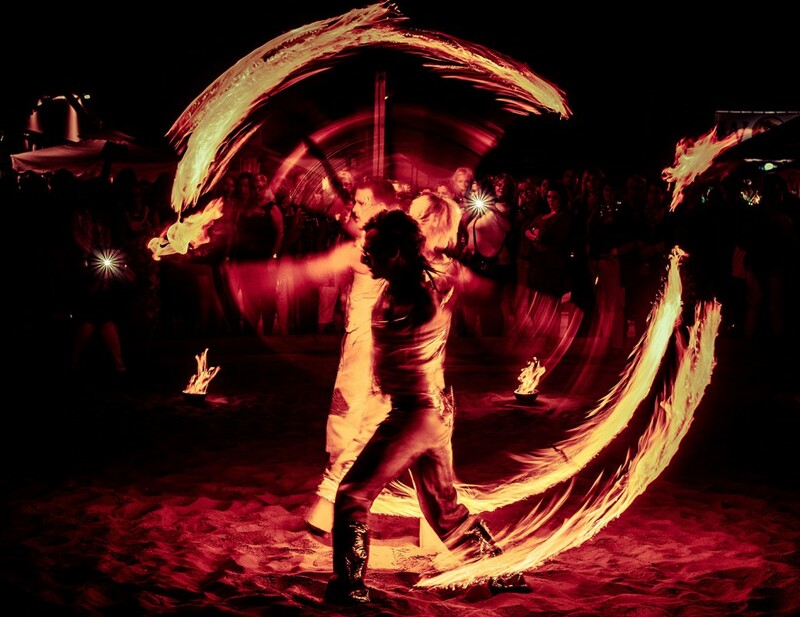 A combination of impressive and technical Fire Poi, dynamic dancing with Fire Fans, Fire Palms and Hoop Dance, makes this enchanting show accessible and suitable for a variation of events and locations. 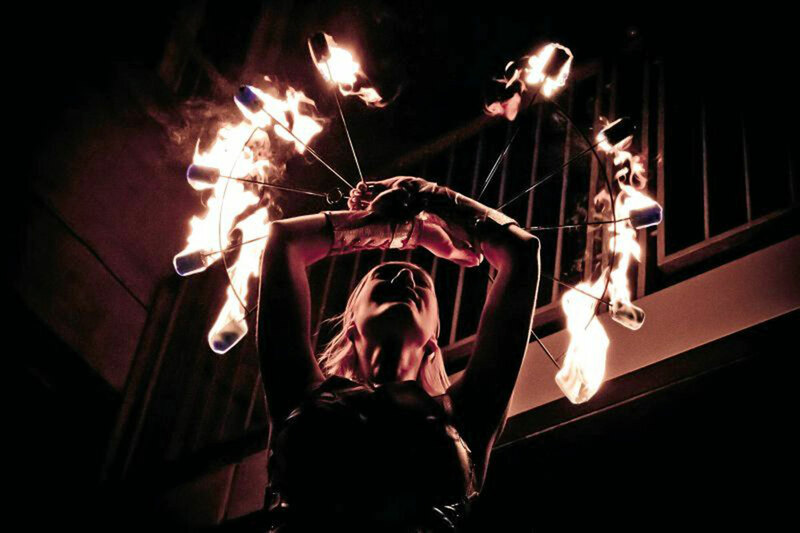 This show is ideal for private events such as weddings and birthdays. 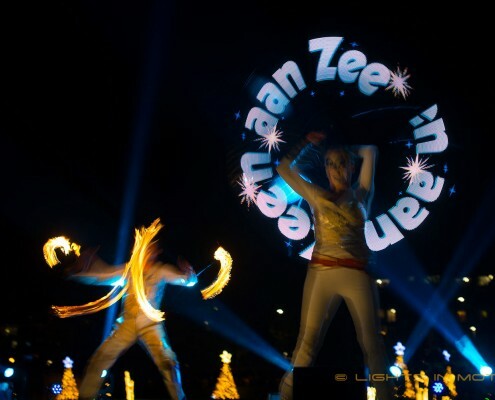 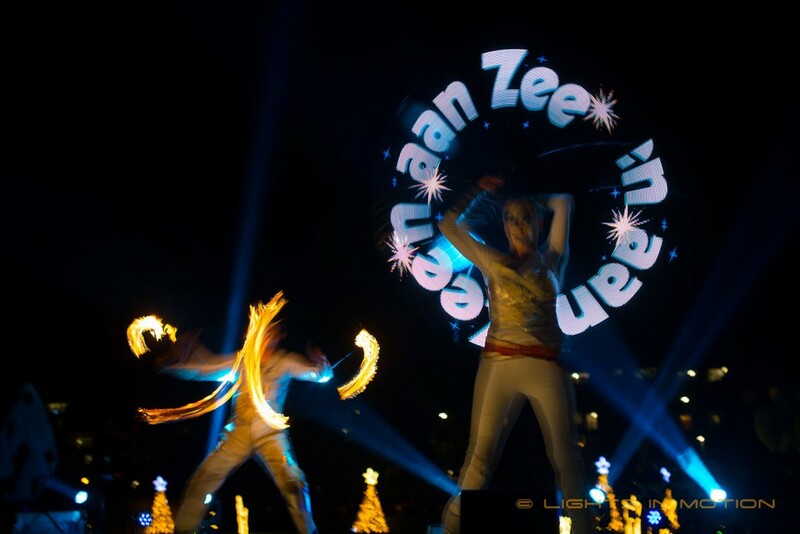 During the grand finale of the show, we can surprise your guests with our spectacular Visual Poi. 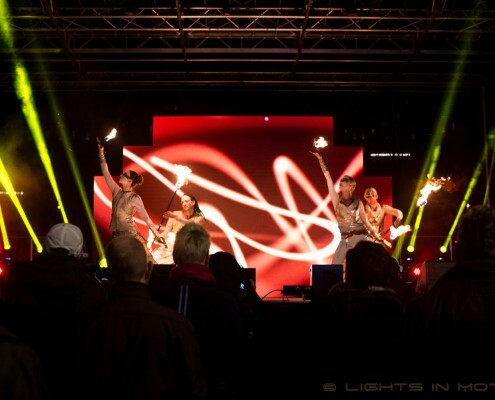 The Poi will be individually programmed with text, graphics and if desired a logo of your choice. 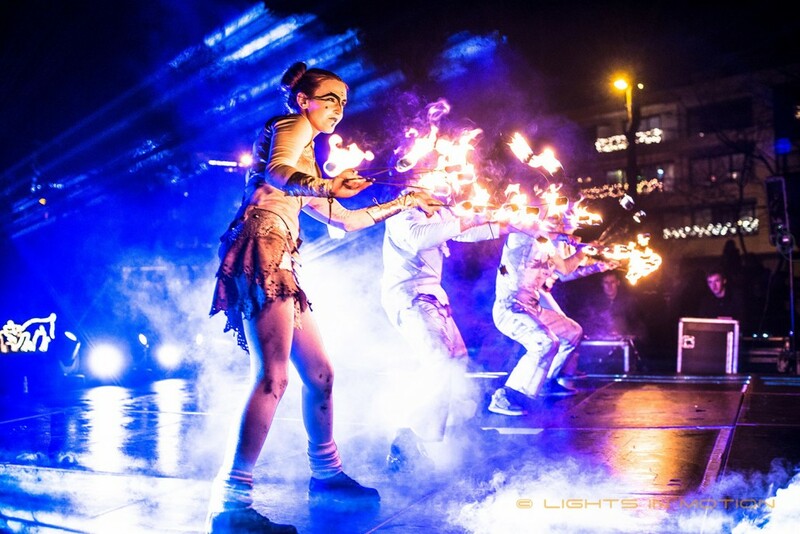 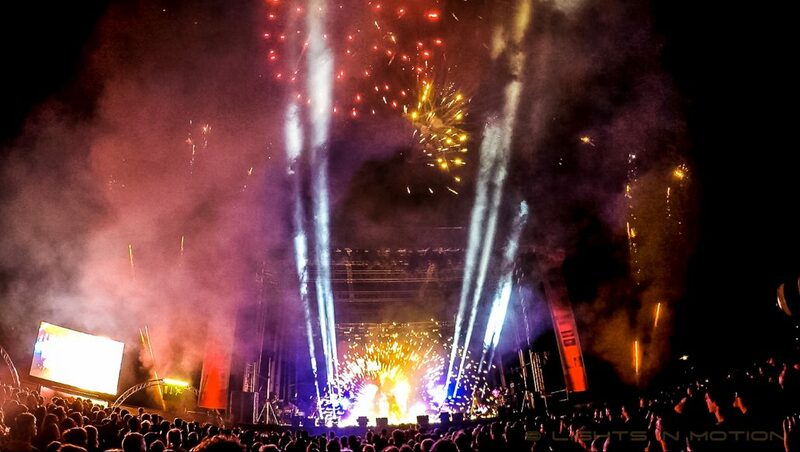 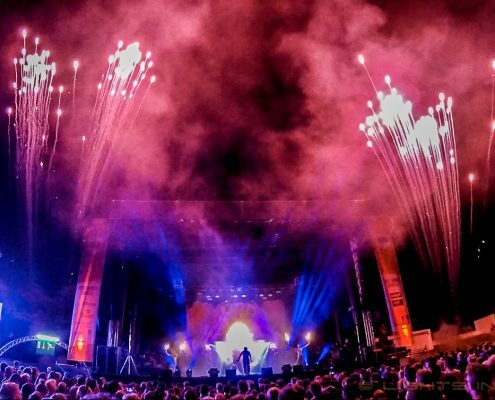 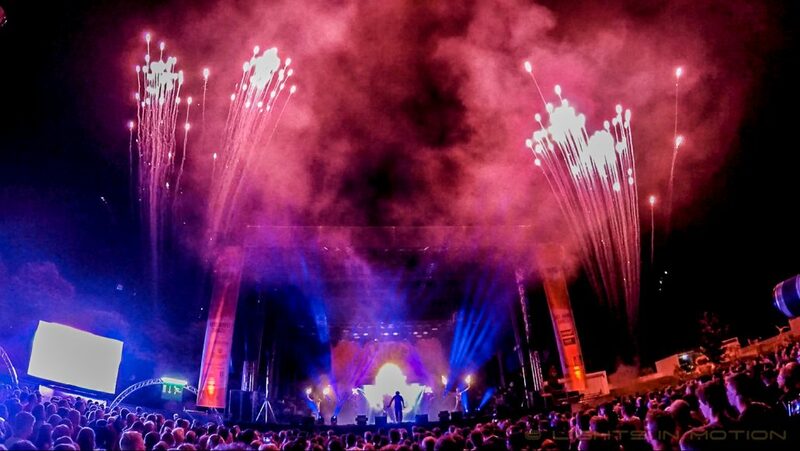 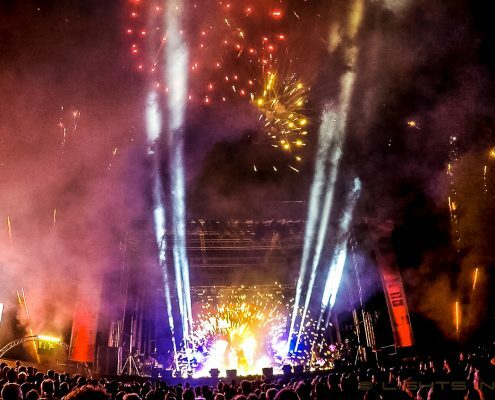 Professional fire artists, technical and tightly performed choreography, great music, an impressive light show and graphic 3d animation presented on a 18m2 large LED wall, offers the audience an enchanting and spectacular fire show. 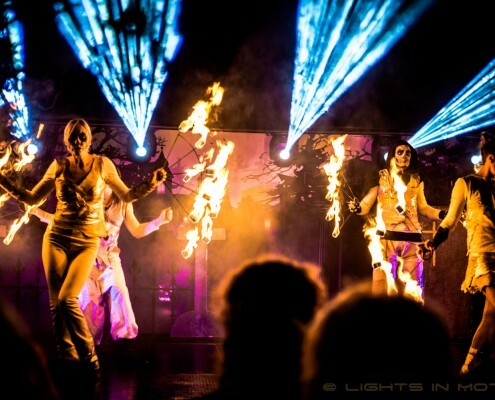 This is the future of Live Entertainment! 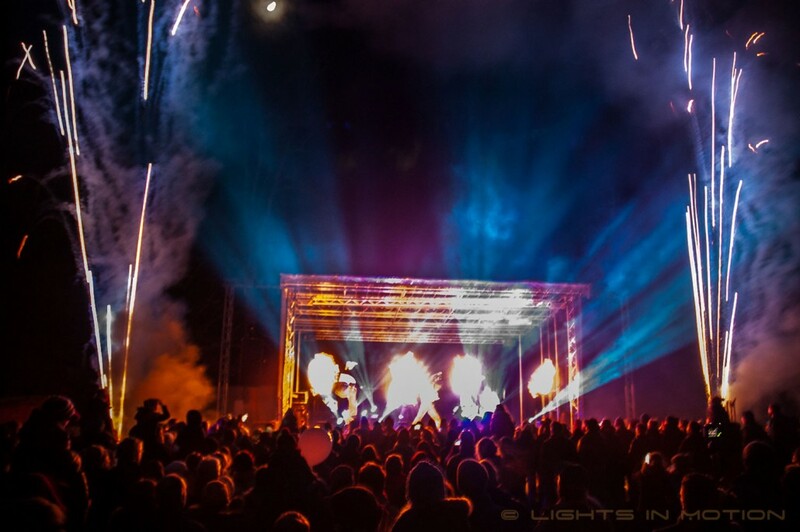 For the use of Pyrotechnics a licence is required. 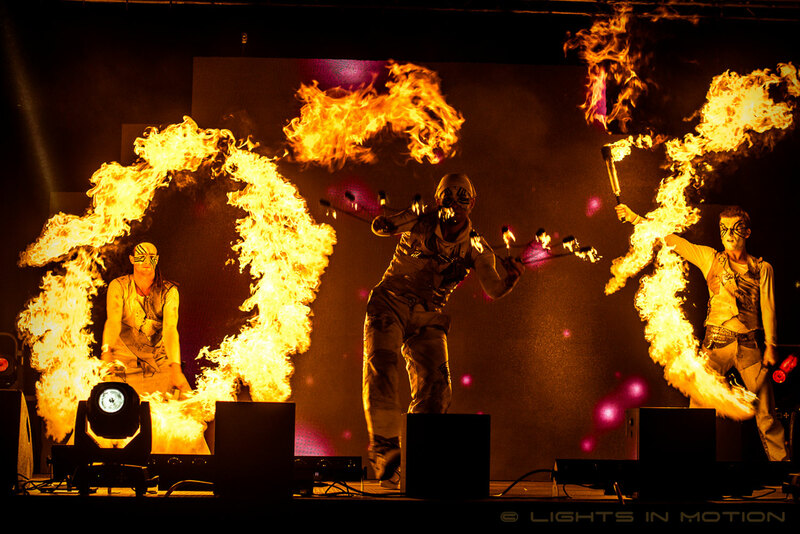 Our pyrotechnicians will take this request on their behalf. 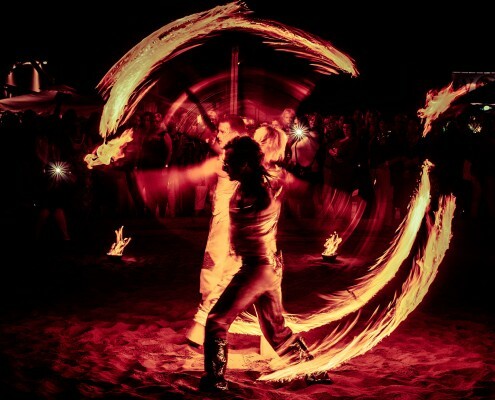 Take into account that this has a lead time of +/- 3 weeks.